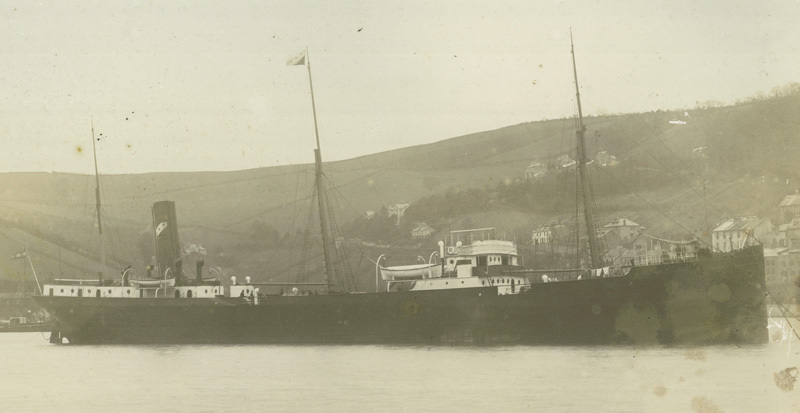 Photogen Transport Co. Ltd., active in Fiume in 1896-1909, operated the steamship Etelka, the first and only Austro-Hungarian oil tanker in Adriatic. On a photo of the Etelka in front of Rijeka harbour, the house flag is clearly visible as rectangular with a white descending diagonal charged with three stars. The background colour of the flag might as well be red or blue. A similar flag was subsequently used by the Genoese company Vapori Ditta Luigi Pittaluga.